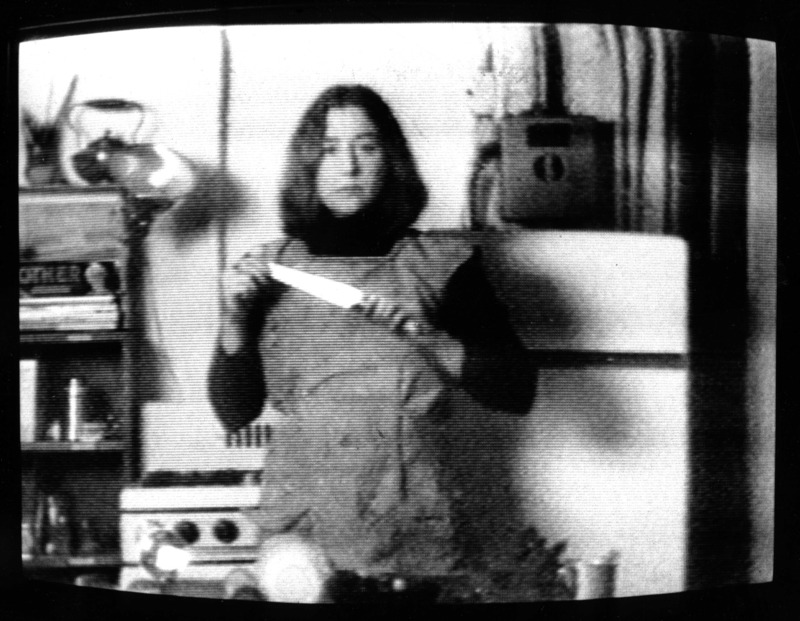 Long before the advent of ‘fake news’, Martha Rosler was teaching us how to think critically about documentary imagery and reporting. Irrespective, the artist’s first survey show in 18 years, opens with the towering, floor-to-ceiling photomontage Cargo Cult (1966–72): an image of dock workers unloading stacks of shipping boxes, doctored so that each container is covered with a photograph of a generically beautiful white women applying makeup. The work presents Western beauty standards as a traded material, and a load women are expected to carry. It also highlights the modus operandi of Rosler’s practice, treating media as material: an approach as relevant today as it ever was. 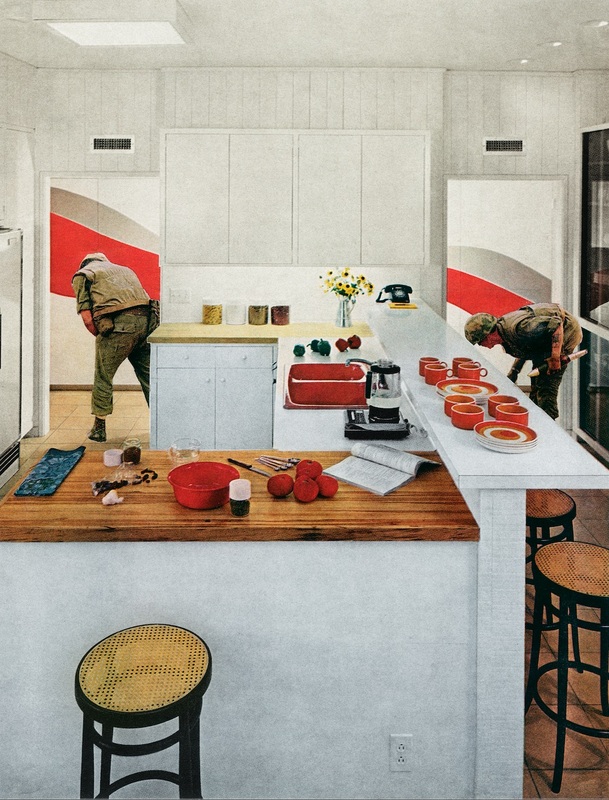 Irrespective contains work from across Rosler’s five-decade career, including the now-famous photomontage series, House Beautiful: Bringing the War Home (1967–72), in which images of domestic interiors from glossy magazines are spliced together with brutal photographs of the Vietnam War. 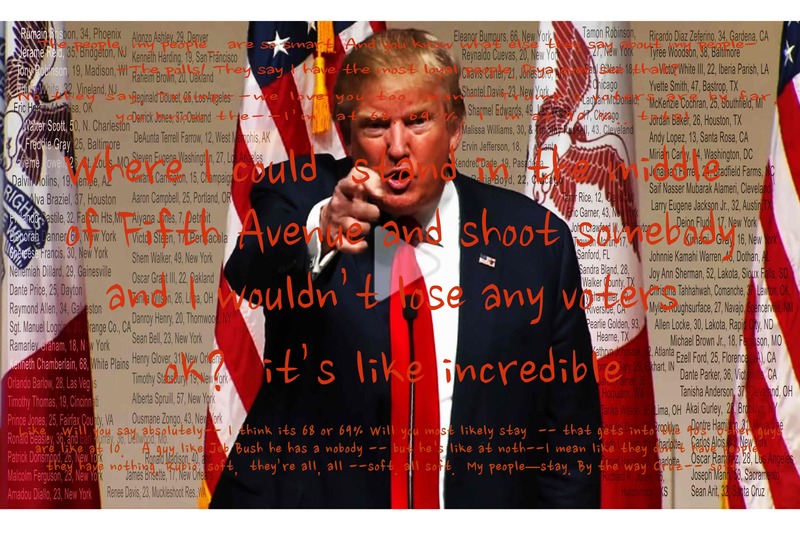 Originally, Rosler handed out photocopies of the collages at anti-war protests. 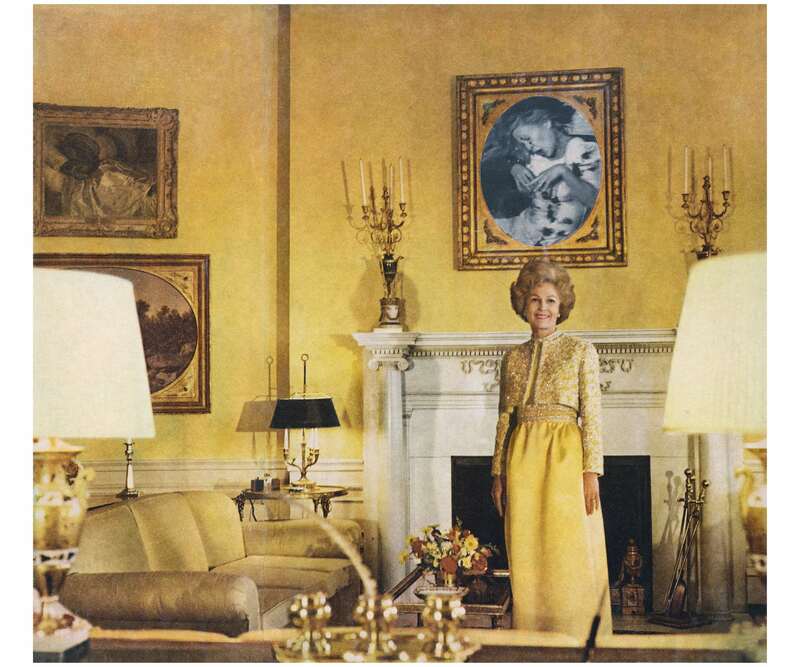 First Lady (Pat Nixon) appropriates a photograph of the First Lady standing in the White House taken for the popular lifestyle magazine, House Beautiful. She smiles serenely at the camera, wearing a yellow dress and jacket that match the colour of the walls. Rosler has replaced a painting in a gilded frame, hung above the fireplace, with a photograph of a woman’s disfigured body. In another work from the series, Cleaning the Drapes, a thin, smartly dressed woman photographed for an advertisement demonstrates the ease of use of a vacuum cleaner. 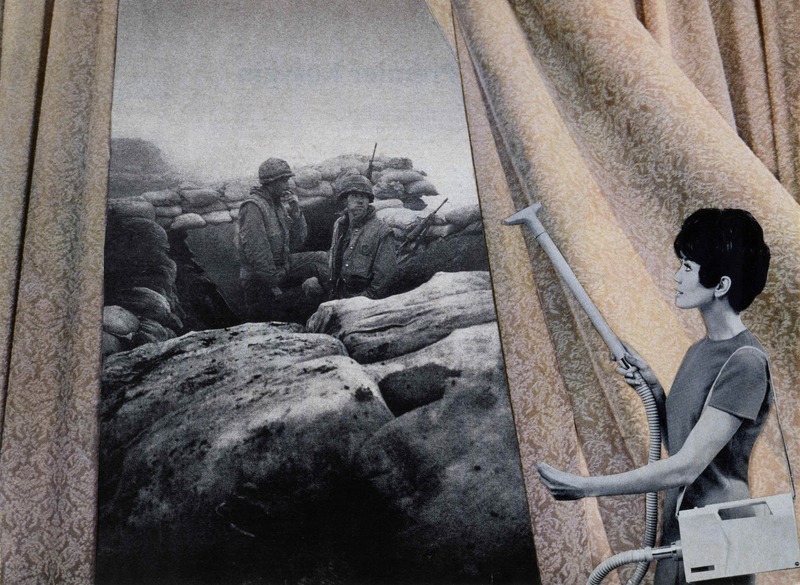 She pulls open a curtain as she cleans to reveal soldiers in trenches. Due to technological advancements in photography, the Vietnam War was the first to have images from the front-lines circulating in real time, entering American homes on television screens, as well as in newspapers and magazines. Rosler’s collages are a reminder of how desensitised Western audiences have become to pictures of violence. Today our screens, billboards and news publications are littered with violent imagery, and it’s hard to imagine how shocking the introduction of Vietnam War visuals were to the register of everyday life. Rosler revisited House Beautiful following the US invasion of Iraq in 2003. 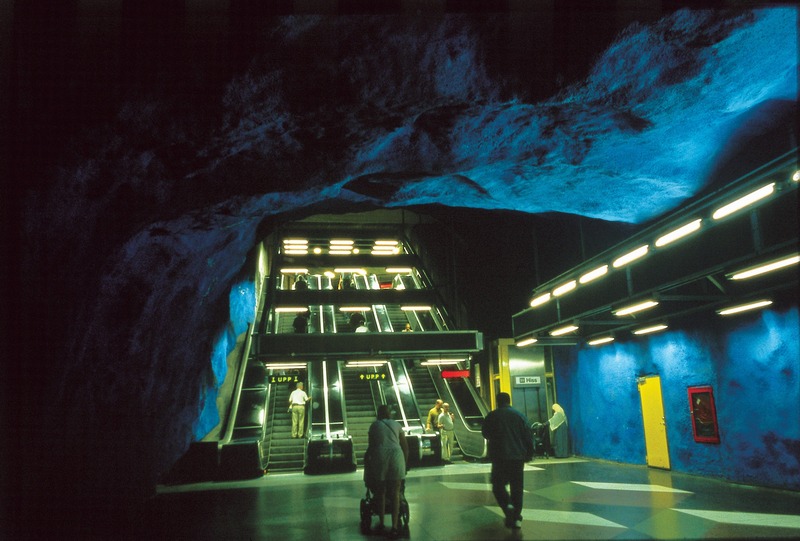 New Series (2003, 2004, 2008) is in high resolution colour, and this time the collage is digital. In Point and Shoot, a title that winks at the relationship between camera and gun, a blonde model in a floor length gown is inserted into a picture of a sandy street somewhere in the Middle East. A tank rolls down the road behind her, out of which armed soldiers take aim at two figures who have also been collaged in: a woman in a burka and a small boy. 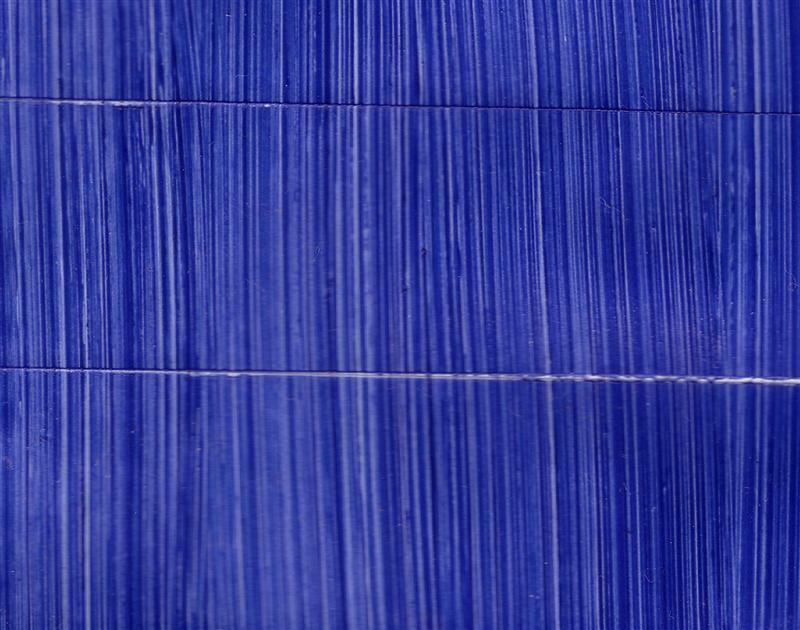 While Rosler’s Vietnam-era series juxtaposed magazine photographs with harrowing war imagery, New Series speaks to the ostensibly random language of internet-sourced images, and mimics the sometimes extreme but by now familiar juxtapositions in which they are often displayed on websites and social media platforms. Standing before the work, I question whether it is possible to see the collected, disparate pictures as anything more than dispiriting clipart for today’s oversaturated economy of oppressive and horrifying images. Unknown Secrets (The Secret of the Rosenbergs) (1988) looks at the treatment of Ethel Rosenberg: a Jewish woman executed in New York with her husband in 1953 after both were convicted of conspiracy to commit espionage on behalf of the Soviet Union. 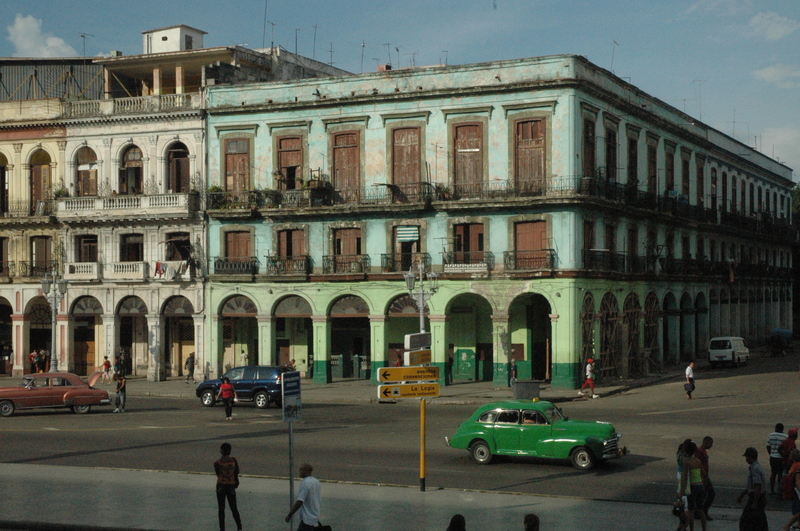 The couple, along with many leftist supporters, believed they had been used as scapegoats for growing Cold War fears that led to suspicion of anyone who espoused communist sympathies. 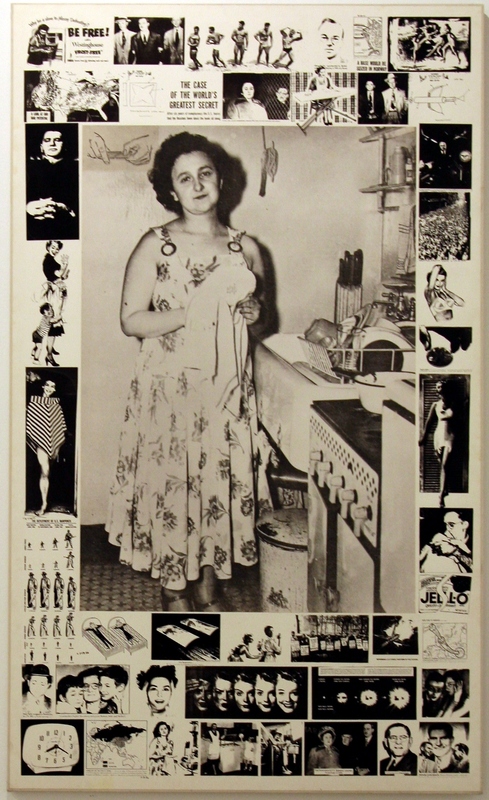 Rosler’s installation includes a screenprinted photograph of Ethel washing dishes, framed by magazine clippings from the era of politicians, fashion items, and muscle men. A booklet, available for exhibition-goers to take, details the media storm that surrounded the trial, and includes the excerpted New York Times headlines, ‘US POWER MUST “FRIGHTEN ENEMY,” WILSON ASSERTS’ and ‘DANGER OF ATOM BOMB ATTACK IS GREATEST IN PERIOD UP TO THIS FALL, EXPERT ASSERTS’ – both of which ran on the date the Rosenbergs were convicted. Unknown Secrets recalls contemporary Western fears of the ‘war on terror’. Just like the anti-communist hysteria that flared up during the Cold War at the cost of lives, reporting on this subject frequently stokes the flames of xenophobia. While Irrespective also includes more recent work made in direct response to current events, it’s the older work that endures. 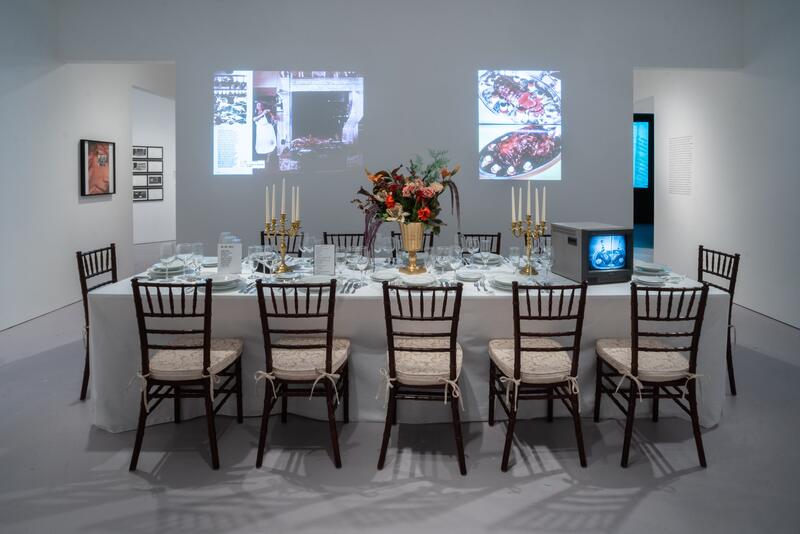 At its best, the exhibition is a critique of news media, with a call-to-action for more accountability. Seen today, it is possibly a eulogy for it, too. is an arts writer and editor based in Brooklyn. Her interests include artists’ books, ephemera, and other intersections of text and image. She has a master’s in Art History from the Courtauld Institute of Art in London and is the Art Books section editor at the Brooklyn Rail.